Rest Easy Bed Bug-Free Comforters! Another great product from Rest Easy are the Bed Bug-Free Comforters! 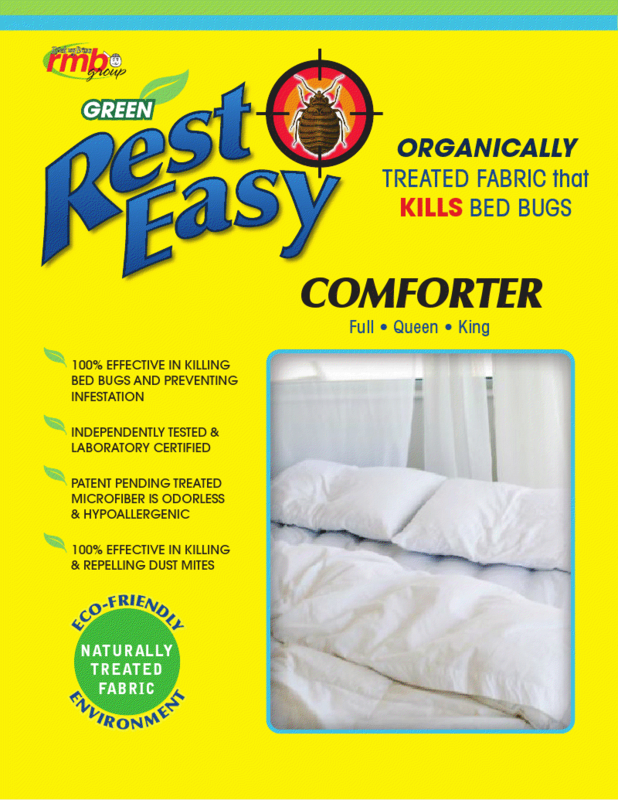 The Rest Easy Comforters are a TRUE GREEN product, made with organically treated fabric that KILLS bed bugs! It is an Eco Friendly Product! WHAT MANY PEOPLE DON’T REALIZE IS THE FACT THAT BEDBUGS CAN ATTACH TO US AND OUR BELONGINGS. Bedbugs are nocturnal, bloodsucking insects which leave bites that are identified as pronounced red welts. Although their bites are reported to be painless, the marks they leave can be physically and emotionally scarring. Victims of infestations report having lingering fears of going to sleep, or even phobias of the beds themselves. During the day, bedbugs can be difficult to spot, as they hide in crevasses in the mattress, floor joints, and even picture frames, and do not surface to feed until night time. During their short life spans, an individual bedbug can lay around 400 eggs, enabling them to repopulate and re-infest an area in just three to four months! To get Rest Easy All Natural Products into your store or for wholesale information contact us at Dreamshoplive@gmail.com! Rest Easy Bed Bug-Free Pillows!! Another great product from Rest Easy are the Bed Bug-Free Bed Pillows! 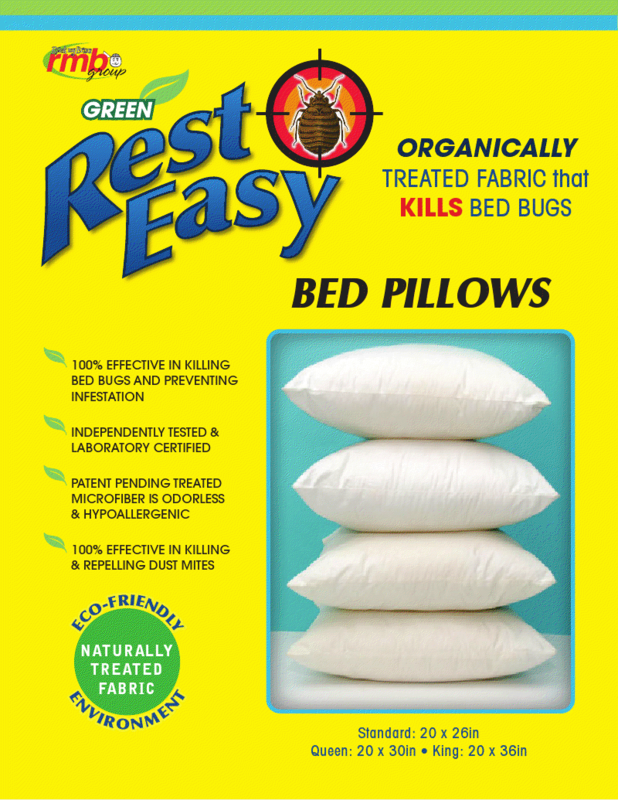 The Rest Easy Pillows are a TRUE GREEN product, made with organically treated fabric that KILLS bed bugs! It is an Eco Friendly Product! To get Rest Easy All Natural Pillows into your store or for wholesale information contact us at Dreamshoplive@gmail.com!